So until my mom and I go on another trip (which will hopefully be soon) I want to keep my blog going, but never fear! There are plenty of Toni and Olivia adventures from the past, present, and future to come. Recently, while I was doing my weekly facebook stalking, I noticed that quite a few people on my home page had pictures of celebrities set as their profile picture. Apparently this is known as a doppelganger. Obviously Julia Roberts and Taylor Lautner are not out there haunting their facebook look alike. However, it did make me start thinking about how easily facebook influences our generation. I mean the second one person put a famous person up in their profile it hit like wildfire. So, I have decided to start my own facebook experiment with something I have created...the CANDYGANGER! For 2 weeks, I will have a picture of my candyganger set as my profile pic. This candy will represent me, and I will document on how long it takes for people to get on board. 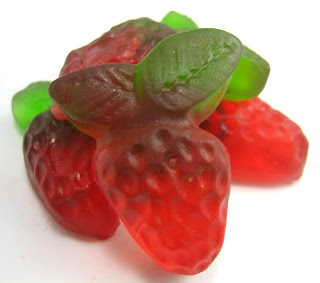 Gummy strawberries are yummy but take some time to chew. You might be a gummy strawberry if you are sweet but it takes people a little while to get to know you. 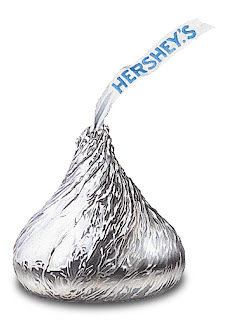 Hershey kisses melt in your mouth and are super delicious. You might be a kiss if you are a lover not a fighter. This is mine! 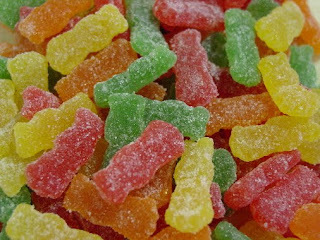 I am sweet but also have a tangy feisty side...just like a sour patch kid! 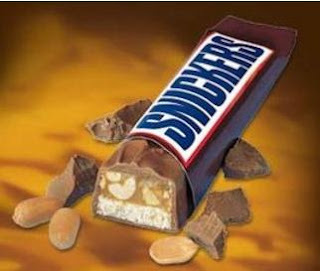 You might be a snickers if people want to grab you when they are hungry! OMG I love it!!!!! I am definitely doing this!!! !